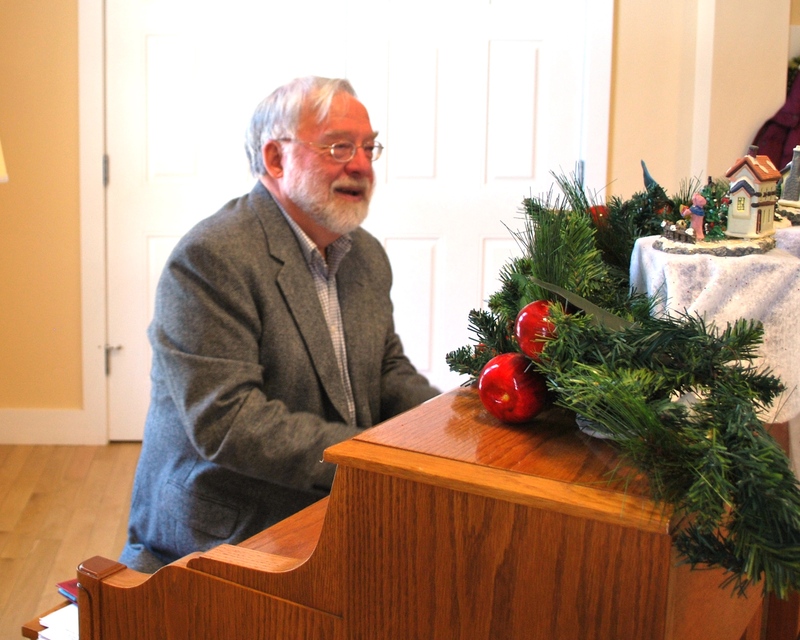 The WCA Red Barn was filled with music and song on December 21. 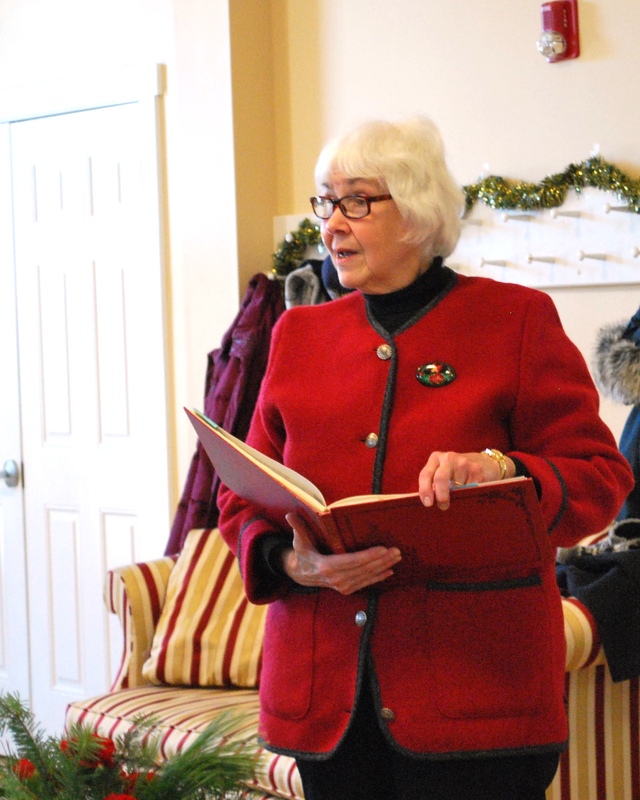 A cheerful group of holiday makers gathered for coffee, cookies and carols. Many thanks to Fred Ogmundson for playing the piano and leading the songfest. Kudos as well to Mary Jane Ogmundson for her stirring reading of Clement Moore’s poem, The Night Before Christmas. The Red Barn was looking lovely with Christmas decorations and festive flower arrangements. Many thanks to the anonymous donor who purchased the arrangements from Forest Cone & Evergreen Shop. Event helpers included Marion Allen, Tootie Fleury, Chris Jenssen, John Monto, Loretta Rayno, Tom Schamberg, Rachel Seamans, Kimberly Slover and Barbara Wiggin. 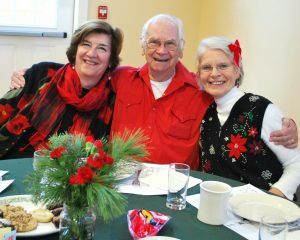 The sweet treats were wonderful and thanks go out to bakers Jan Baker, Rhonda Gauthier, Chris Jenssen, and Jean Wallace. And finally, a big thank you to Ann Davis for organizing the event and pulling it all together. This entry was posted in WCA, WCA Events, WCA News, WCA Programs, Wilmot and tagged #Thank You by WCA_Admin. Bookmark the permalink. What a fun time! I always enjoy being with our Wilmot neighbors.